With how travel is these days it is hard to find a reliable, strong and TSA approved luggage lock. You don't want to buy some luggage locks to find that security has cut them off trying to inspect your bags. 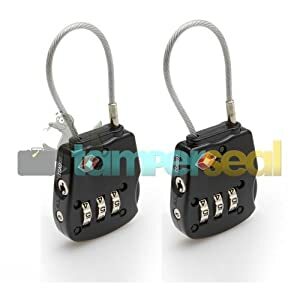 These locks come in a package of two and are made of zinc alloy and steel. The combination lock is resettable and handy as you won't have to worry about losing keys. Most importantly these locks are easy to set, and the cable system allows more flexibility with your bag. One reviewer on Amazon said that he uses these locks for his 100lb footlocker and they hold up great!. So when packing for your vacation, don't forget your Lewis N. Clark Sentry cable lock! You will be able to see this lock coming down the luggage belt, probably before you notice your luggage! 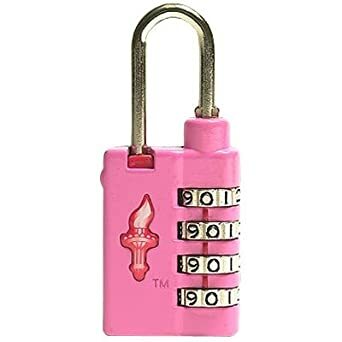 This lock is TSA approved so the TSA can unlock it, without breaking it, do their inspection. then lock it back up and away you go! The 4 dial combination gives you an additional level of security over the 3 dial combination locks, and you don't have to worry about losing keys. 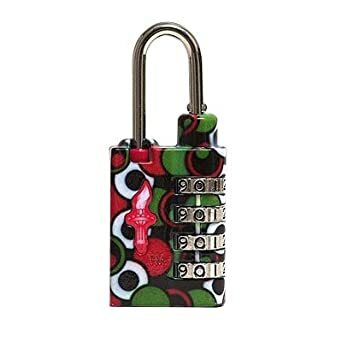 So for your next vacation go with this luggage lock, go with something funky and fun! 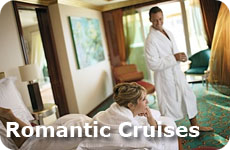 Eagle Creek is known for it's great luggage and travel accessories. These mini key TSA approved locks are Travel Sentry certified and keyed alike for the set. Locks come in 4 bright colors to help you find your bag including: Red, yellow, green and blue. 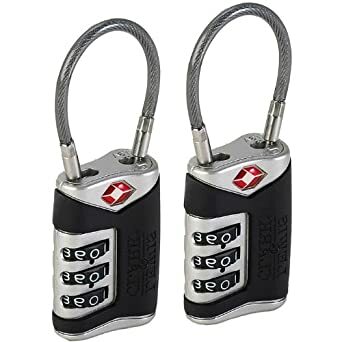 Don't lose your luggage locks the next time you travel because you they aren't TSA approved, use these great and reliable mini locks. Affordable and durable, but most important will add a level of security to your luggage that you wouldn't have without any locks. 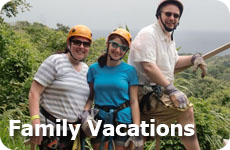 Don't forget them on your next vacation! Not only can you get these locks in multiple colors, they are also TSA approved. The locks are resettable and easy to set and allow the TSA to open them easily and do their inspection. As this is a 4 dial lock, it offers another level of security over the 3 dial locks. Have fun with choosing your colors. Have them match your bags, compliment your bags or hey why not choose a color that stands out so you can see your bag coming down the conveyor belt! Choose from the following colors; blue, pink, white, red, green, black, purple, yellow or orange. Make sure you lock your bags with these locks on your next vacation! Resettable 3 dial locks that are TSA approved and will protect your bag from thieves! Travel Sentry, the manufacturer of the locks, guarantees that the TSA will be ok with these locks. They have a flexible rubber coated steel cable to make them easy to use. The reviews say that they work great. If you are worried about locking your bags, then these locks will work great on your next vacation abroad! Check out this great TSA approved lock. It doesn't use a key or a combination. It uses a key card, about the size of a credit card to unlock it! No more worrying about losing your luggage keys or forgetting the combination. 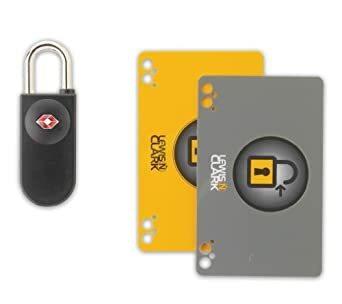 Just store the key card with your other credit cards while you travel, then swipe it through the lock when you are ready to lock or unlock your luggage. So if you like to lock your luggage and are looking for a way to do it within the TSA requirements and don't want to worry about keys or combinations, this is the lock for you for your next vacation.